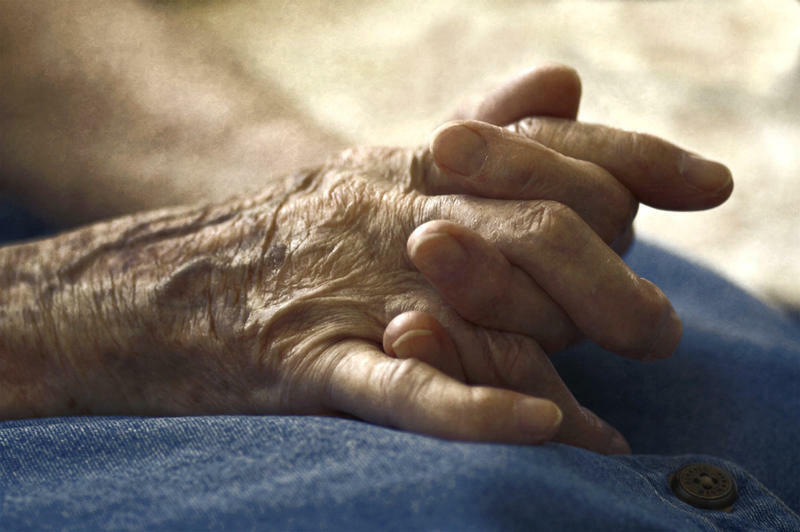 Rheumatoid arthritis can cause painful swelling of the joints, particularly in the hands and feet. Scientists have long known that there is a link between schizophrenia and rheumatoid arthritis. People who suffer from schizophrenia tend not to develop rheumatoid arthritis, and people with rheumatoid arthritis are at low risk for schizophrenia. Though this relationship has been clear for more than 50 years, nobody really knew why the link existed, according to University of Pittsburgh professor of psychiatry and human genetics Vishwajit Nimgaonkar. “We thought that there might be genetic factors that might explain this phenomenon,” he said. Nimgaonkar’s hunch has been backed up by new research identifying 29 genetic markers in the human genome that are associated with both diseases. “One form of the marker increases the risk for schizophrenia and another form of the marker increases the risk for rheumatoid arthritis,” he said. A genetic marker is an individual gene or a sequence of DNA. Nimgaonkar said all 29 of the markers they identified were within eight genes already thought to be “possible culprits” for both schizophrenia and rheumatoid arthritis. Nimgaonkar said he hypothesizes that there is a complex relationship between the proteins produced by these genes and the likelihood someone might develop either disease. Genes produce proteins that carry out the genetic instructions to generate particular attributes such as hair color, height or susceptibility to specific diseases. “Probably there are thousands of genes, each of small effect, that may be together causing the risk for this illness and interacting with each other to produce the risk,” said Harvard Medical School psychiatry professor Matcheri Keshivan. Keshivan said Nimgaonkar’s work is consistent with the theory that schizophrenia might have some auto-immune component, similar to rheumatoid arthritis, wherein the immune system attacks healthy joint cells. Rheumatoid arthritis is an autoimmune disease in which the body’s immune system attacks healthy joint cells, creating inflammation, leading to pain and swelling. About 1.5 million Americans suffer from rheumatoid arthritis, which can cause permanent joint damage and disfiguring if not treated early, according to the Arthritis Foundation. Keshivan said that in patients with schizophrenia, genes might overproduce proteins that are meant to “clean up” neurons in the brain, a process known as synaptic pruning, which can lead to healthy neurons being damaged. Keshivan said he’s hopeful that better understanding of the genetic causes of schizophrenia can lead to new treatments and added that the disease is likely caused by genetic factors. “But at the same time, we do not have a very good idea as to which particular genes might be causing this disease,” Keshivan said. According to the Schizophrenia and Related Disorders Alliance of America, or SARDAA, about 3.5 million Americans and 1.1 percent of the world’s population are affected by the disease, which is characterized by delusions, hallucinations and disorganized speech and behavior. Keshivan said other symptoms of the disease include a lack of motivation and impaired cognition, which he called “negative symptoms.” He said, while treatments currently available are reasonably effective at treating the delusions and hallucinations, treating the negative symptoms is much more difficult. He said he’s hopeful that understanding more about the genetic causes of the disease can lead to more holistic therapies. SARDAA reports that about 75 percent of patients reach full or partial recovery, while a quarter do not see improvements with existing therapies, which include medication and psychotherapy. While there are many questions left unanswered, Nimgaonkar said the findings represent a good starting point for further research. Because the analysis depended completely on existing datasets, he said laboratory experiments will help confirm and clarify his team’s results. “What we are trying to do is to reach out to our colleagues in rheumatology, and what we’d like to do is test these theories using actual tissues from patients: brain tissue, synovial (joint) tissues, or blood cells,” he said. The findings are published in the journal npj Schizophrenia. Pittsburgh researchers have found the joints of children with chronic inflammatory arthritis contain immune cells similar to those of 90-year-olds. A new study suggests premature aging of immune cells are linked to children with juvenile idiopathic arthritis (JIA). The study, led by University of Pittsburgh professor of pediatrics and immunology Abbe de Vallejo, sampled immune cells called T-cells from 98 children with JIA. The team found one-third of the T-cells in children had shortened “telomeres” that had reduced or lost the capacity to multiply. The University of Pittsburgh has received a $10 million grant to be used to research a new hypothesis on schizophrenia. The grant was received from the National Institute of Mental Health and will be distributed to the university over the next five years. The Silvio O. Conte Center for Translational Mental Health Research will be established because of the grant and will be directed by David Lewis, the chair of Pitt’s Department for Psychiatry. The hypothesis focuses on the structure of the brain as the cause for schizophrenia. 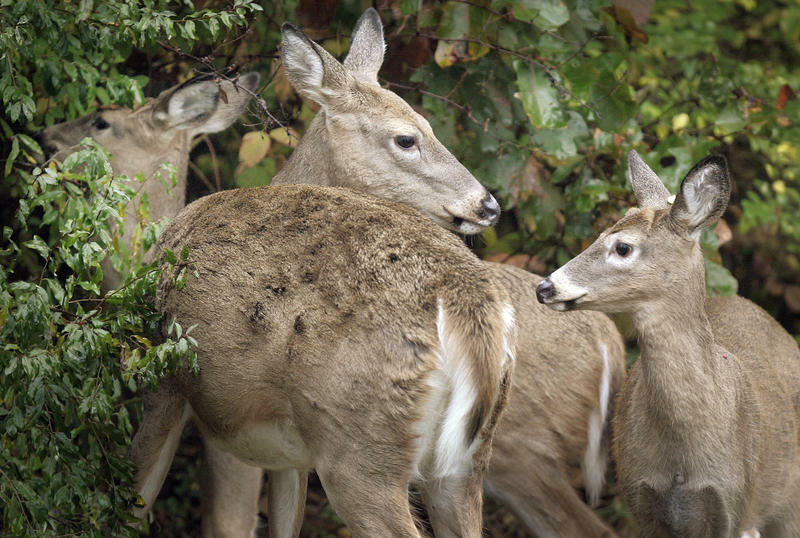 Pennsylvania’s deer and elk farmers are optimistic about new research into chronic wasting disease. Chronic wasting disease, or CWD, is a form of prion disease.